"The music and skits all showcase The Incomparable Hildegarde's ebullient charm for which she was known." Frank Sinatra was "Old Blue Eyes"; Jackie Gleason, "The Great One"; Lucille Ball, "First Lady of Television." Though a performer of lesser stature, cabaret singer and radio personality Hildegarde Loretta Sell is no slouch in the nickname department. She was The Incomparable Hildegarde, came from no less a personage than Walter Winchell. The fetching blonde owns the distinction of having been born in Germany and raised in Milwaukee. She earned a niche as a somewhat severe-looking, though debonair, cool European type, even if she was really from Middle America. Performer Andrea Marcovicci described Hildegarde as sporting a "French Midwestern German Accent." 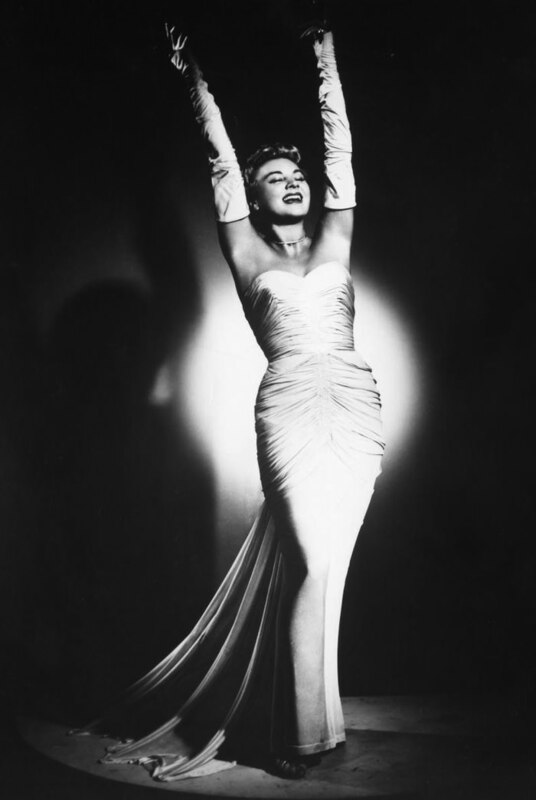 The songbird is best known for her signature tune, "Darling, Je Vous Aime Beaucoup." Her style was one of the well-known styles of cabaret singers of the time, one portrayed in films and TV shows set in the 30's and 40's: she'd strut around both on stage and among the tables, winking at businessmen in the audience, caressing the occasional neck tie or even making bawdy remarks. Long velvet gloves lent to an exotic, sultry air. She would later quip that the Muppet Miss Piggy stole the glove motif from her. And that brings us to the scope of Hildie's versatility--she was also quite funny. Hildegarde's Radio Room started off, as many variety shows of the day did, with some yuks to get things rolling. Hildegarde would interact with sidekicks for gags such as "I made a joke." "Wanna bet?" Or "My father said that whoever married me would get a full-sized cow." But of course one of the mainstays of each episodes was the song stylings of The Incomparable herself, with her mid-range, crystal clear voice brightening without a moment's notice into a near falsetto. 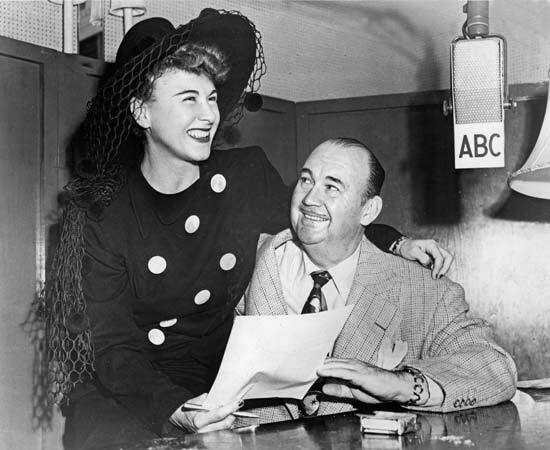 The episodes in our Hildegarde's Radio Room collection include such guests and co-conspirators as Phil Regan, Burgess Meredith, Clifton Webb, Patsy Kelly, and Xavier Cugat. The music and skits all showcase The Incomparable Hildegarde's ebullient charm for which she was known. So put on your elbow-length satin gloves, pour a martini, dust of the chandelier, and settle in for a night of old-time elegance and luxury. Be the first to comment on "Hildegardes Radio Room"